Are you ready to own your piece of waterfront paradise?? The name says it all - welcome home to 174 Sound View! This charming cottage sits on an acre lot with amazing water views, direct access to the ICWW, and deeded community ramp and dock. Build your dream home, keep or remove the cottage, or subdivide - the options are endless on this estate sized lot. 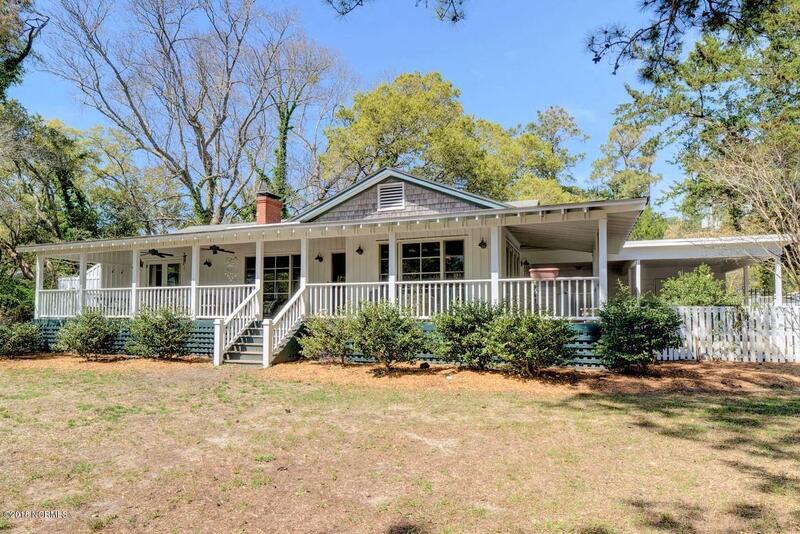 Relax on the southern style porch that extends the width of the home to take in the views and ocean breezes or add a private boat dock to explore the ICWW. Buyers will appreciate the cottage charm with new features - granite counters, stainless steel appliances, windows, light fixtures & MORE! Over 100 feet of water frontage, majestic oaks, azaleas, & unmatched views in a convenient central Wilmington location!